Villa Beau Sejour consists of the larger house with 5 bedrooms,3 1/2 bathrooms, living room, open kitchen and a dining room facing the ocean, and the smaller guest house with a bedroom, game room, bathroom and kitchenette. Renovated 2013 and 2017. 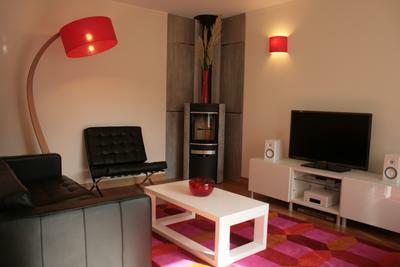 Villa Beau Sejour consists of two houses which were completely renovated and appointed with modern amenities. The larger home has 5 bedrooms, 3.5 bathrooms, lounge with fireplace, modern kitchen with island, laundry room and a dining room facing the sea. In front of the dining room is large terrace opening out onto the lawn. A perfect place for outdoor dining, drinks or simply sunbathing overlooking over the sea. The smaller guest house has one bedroom, bathroom, kitchenette and a game room with a large screen tv, ps 4 and a babyfoot table. Ideal for kids while the adults enjoy some quiet time alone reading a book, listening to music or having a drink. Villa Beau Sejour faces southwest making the days long and sunny. Located between the port and Trestrignel beach, Villa Beau Sejour enjoys a southernly exposure. 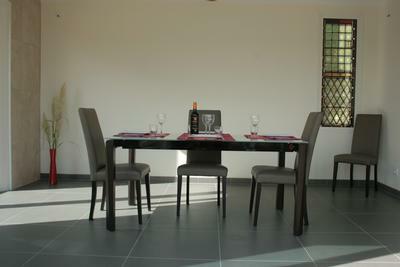 It is located in a very quiet and upscale area minutes from the heart of Perros-Guirec. Ideally located for exploring the Pink Granite Coast, the beautiful large sandy beaches, or just walking around visiting our wonderful town. Villa Beau Sejour is minutes away from the beach, port and downtown shopping. For more information and availability for our holiday house on the Brittany Coast, please contact us using the links. 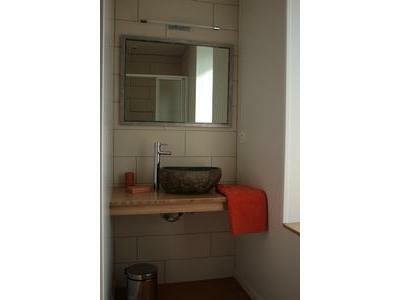 Located in a very quiet area in the heart of Perros-Guirec in Brittany in front of the ocean. Ideal for exploring the world famous Pink Granit Coast or “Cote de Granite Rose”. Villa Beau Sejour is minutes away from the beach and downtown shopping.